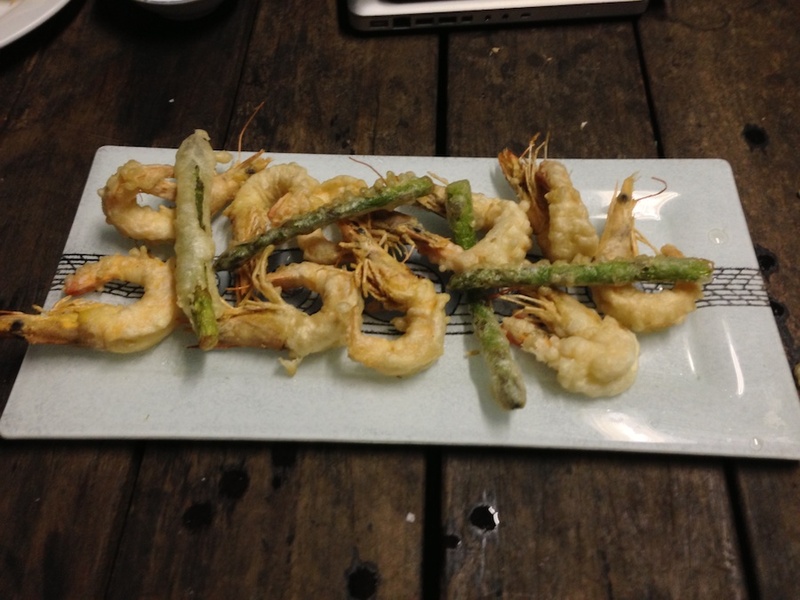 tonite was a fine night for tempura, so i whipped up a batch of batter, peeled some prawns and grabbed a bunch of asparagus! my batter is half plain flour, half corn flour, soda water added and slightly stirred to make a thin and lumpy batter, another bowl of just plain flour for dusting prior to dipping items in the batter. dipping sauce is some dashi, saki, mirin, soy and water.